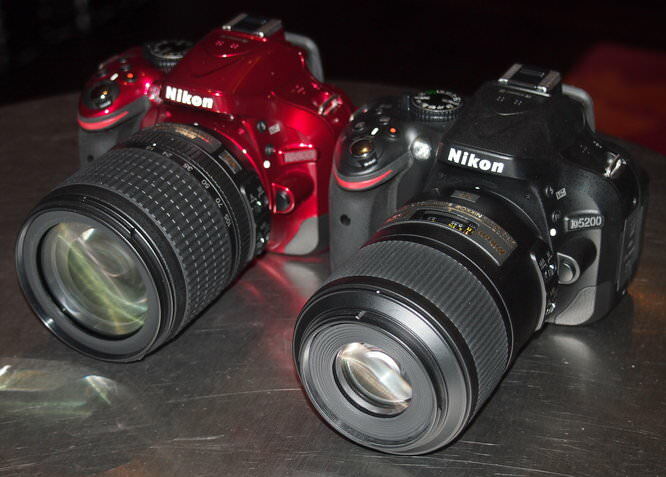 We take a hands-on look at the new Nikon D5200 - the 24 megapixel camera from Nikon with advanced focusing. The Nikon D5200 is the latest Digital SLR from Nikon, making it the 5th new Digital SLR to be announced by Nikon this year. Six if you include the Nikon D800E. The Nikon D5200 features a new 24.1 megapixel APS-C sensor, full HD video recording, stereo microphone, and a number of other enhancements to improve image quality and performance. It will be available in black, red or bronze. 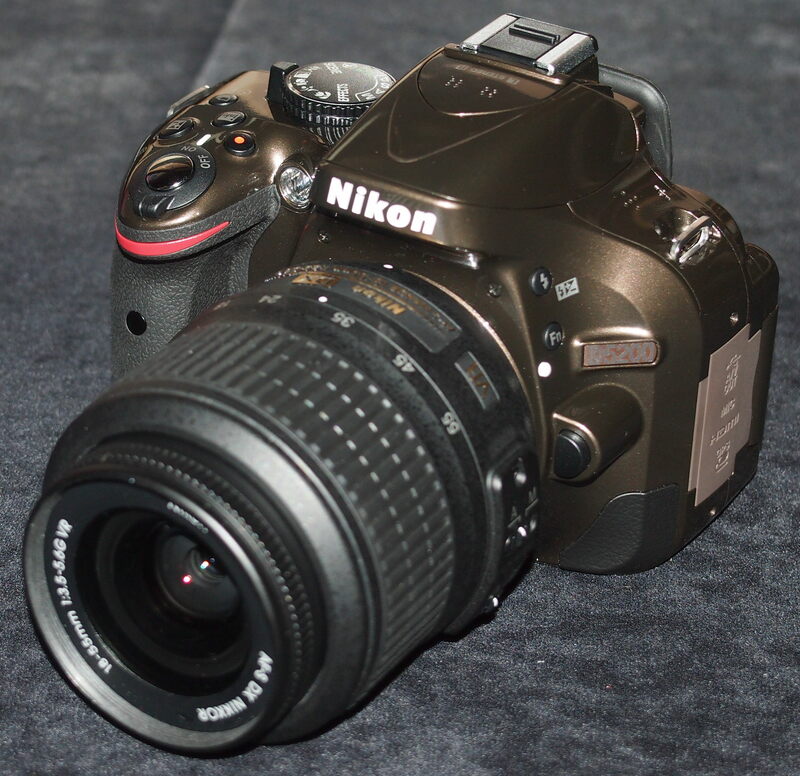 The Nikon D5200 has a number of enhancements over the Nikon D5100, including a new 24.1 megapixel APS-C CMOS sensor, stereo microphones built in, 5fps continuous shooting, 39-point AF system, and EXPEED 3 processor for improves speed and image quality. Full HD movie recording up to 60i is available, with 1920x1080 60i supported. When recording 60i, 80% of the central part of the readout is clipped from 1080 30p. There is a built in stereo microphone, as well as a microphone socket. Subject tracking AF and AF-F follows a moving subject in three dimensions, similar to the function found on a video camera. An improved GUI (Graphical User Interface) gives clearer display of shutter, aperture and ISO settings on the back with both "Classic" and "Graphic" displays updated. Improved AF - as well as improved AF tracking in video mode, the camera has a 39 point AF module, advanced scene recognition, and 3D AF tracking. WU-1a compatible - for Wi-Fi transfer and remote control - this should work in exactly the same way as it does with the Nikon D3200 - which we tested here. Handling - An additional button (added since the D5100) on the top of the camera gives quick access to continous shooting. Otherwise, little had changed on the back of the camera, with the same controls as the D5100, as well as side access to the memory card slot. 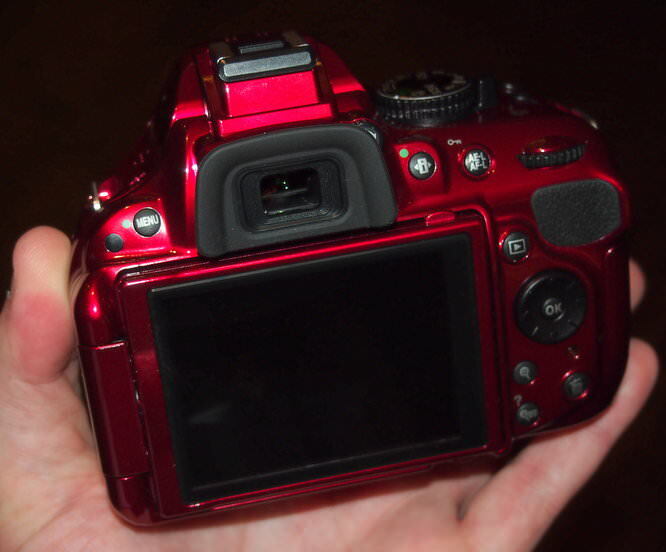 An additional rubber grip has been added to the front right corner of the camera, for your left hand. The battery used on the Nikon D5200 is the same EN-EL14 Lithium Ion battery as used in a number of other Nikon cameras including the Nikon D5100, Nikon D3100, Nikon D3200, Nikon Coolpix P7700, and a number of other Nikon cameras. The Nikon D5200 will be available body only for £719 body only, or £819 with 18-55mm VR kit lens. This prices it slightly above the Canon EOS 650D RRP price, although actual prices in stores may be lower. The Nikon D5200 sees Nikon's range of Digital SLR cameras completely updated this year, with the Nikon D800 and D800E being the stand-out models due to the high resolution 36.3 megapixel full-frame sensor, as well as the 24 megapixel Nikon D3200. These cameras made the 16 megapixel Nikon D5100 seem somewhat over-shadowed. This has been rectified with the new 24.1 megapixel sensor in the Nikon D5200, however Nikon hasn't simply put in a new sensor, it's also upgraded and updated a number of other features, making the D5200 even more appealing. We will be testing as soon as available, and look forward to seeing whether the improvements and image quality live up to expectations. Looks really nice & look forward to seeing the results of a hands on review but I would disagree that 'Nikon's range of Digital SLR cameras completely updated this year'; WHERE OH WHERE is the D300 & s replacement that is so long overdue - come on Nikon, just remember there are other manufactures out there! we need one now! 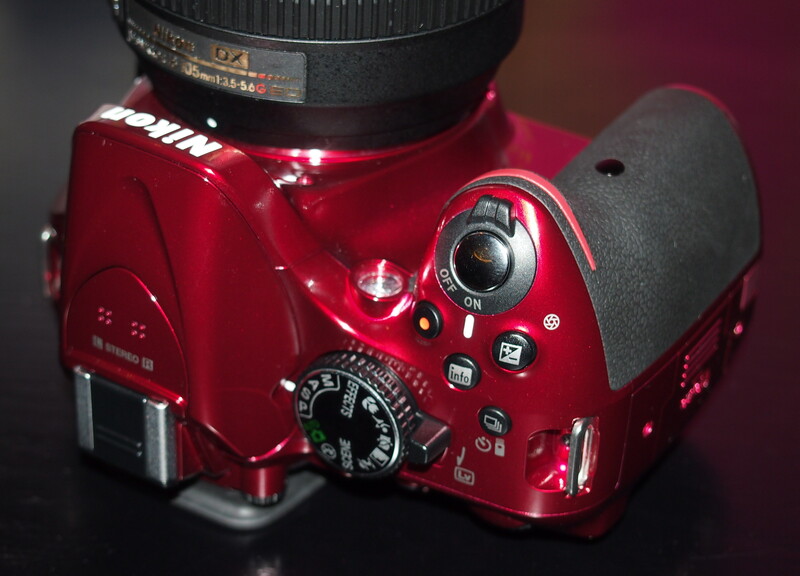 replacement that is so long overdue - come on Nikon, just remember there are other manufactures out there! we need one now! No focusing motor added = no D300 replacement. does anybody know when the D5200 will be released please?